No, I did not make turkey ice cream — you will need to watch Iron Chef to see that happen! 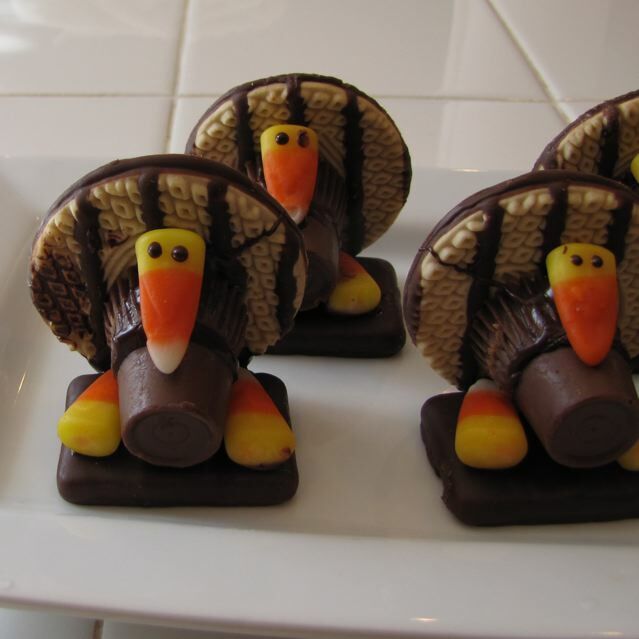 My kids got crafty and used Fudge covered grahams, shortbread cookies, Reese’s peanut butter cups (mini), Rolo Chocolate Caramel candies and candy corn and melted chocolate to make these cute little creations. I found the idea in a Pillsbury booklet.